Christmas is coming and it's impossible not to notice if you live anywhere near an urban centre. Holiday music is already playing in most major department stores, decorations and trees are on display, Santa has already arrived at a few places, and malls are having their annual light-up the tree events. While I can't say that I've finished my Christmas shopping already, I have started picking up a few gifts here and there to spread the cost out a bit. I'll be buying my son the requisite toys, puzzles, and Duplo building blocks, but I'll also be shopping for him at places like MEC and other local outdoor stores. I'll also be searching the shelves at Chapters and Indigo for great outdoor themed books to add to our collection. 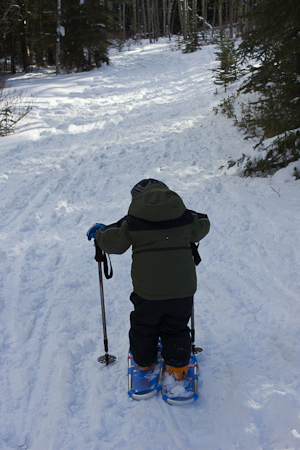 Here are a few of my Christmas gift ideas for the outdoor children on your list. Some ideas come straight off my own list for my son, while other items have been purchased for friends over the past year, or been enjoyed so much by us that I have to share! Dinosaurs go camping and get scared by monsters? Who doesn't want to read a cute story about children making pancakes when camping? A little girl asks if Princesses have to brush their teeth, have to clean their room, and - even if they wear hiking boots? Great for the outdoor princess on your shopping list! The Grey Owl Owlet Canoe Paddle comes in three lengths of 36, 42, and 48in. The Black Diamond Wiz Headlamp has been mad with kids in mind and comes in three colours including pink for the outdoor girl. Toddlers will do well on a pair of $10 BOB skates from Canadian Tire for their first season. These double blade skates give them the confidence to get on the ice and have fun without fear of falling constantly. For preschoolers, look at adjustable skates that will grow with your child over a couple of years. Don't spend a lot of money on a hockey stick. We bought a simple stick at Canadian Tire and then cut it down to size. A Buff - the best scarf, face mask, neck warmer, head band, and bandanna - all in one! We got our son a children's sized buff from the Trail Centre at the Canmore Nordic Centre last winter. Best gift ever!! He wears it as a neck warmer and then we pull it over his mouth and nose when it's cold instead of a scarf. It's easier to breath than a heavy fleece scarf and just as warm! We also use it to wipe his runny nose or wipe tears from his eyes as needed. - It gets washed a lot! He loves it and asks for it when we go outside. Babies and toddlers can wear these in a sled instead of boots. 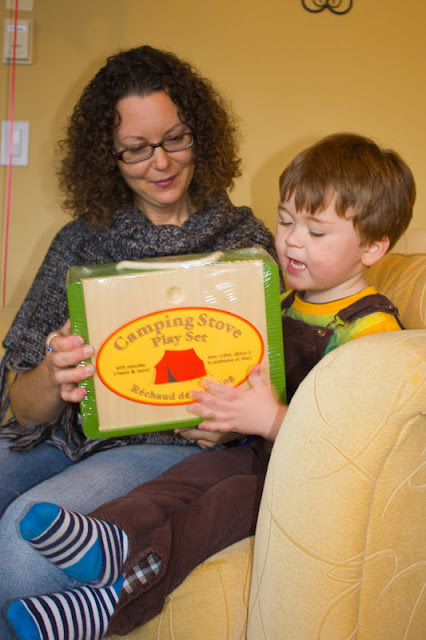 Older children can use these camping and as slippers when staying in backcountry huts or hostels. If you are in Calgary, you can buy this jacket from the Great Outdoors Store. This is hands down the BEST jacket I have ever found for toddlers and preschoolers. It's just as warm as a down jacket without the bulkiness. One by one I'm converting all of my outdoor friends with children to this jacket. North Face also sells a similar down jacket if you find that you need something warmer but we LOVE our Perrito Jacket and my son wears it year round for camping, hiking, playing in the snow, and skiing. There are a number of different colours for boys and girls available. My son lived in this his first couple of winters. It's incredibly warm and there are no gaps for snow or cold to get in because of it's one-piece design. They fit big so you'll usually be able to get two years out of them - bonus!! This is the best one-piece Rain suit you can buy locally. My son wears it for puddle jumping, bike riding in the rain, hiking year round, and any time the weather looks variable on our trips to the mountains. Our son has a wooden model - the Camping Stove Play set - complete with pancake, hot dog, and S'more maker. I believe it came from Chapters or Indigo. Our son has a Leap Frog Tag Reader Junior and it comes on every camping trip with us. He reads the books for down time, and it easily fits in a backpack for overnight trips with a few favourite books. This year we are upgrading to a Leap Pad which will be great for long road trips and even comes equipped with a camera. Alternately, many families choose to give their child a real camera and have the child grow with it over the years. Look for something that's durable and can handle being dropped if you go that route. They come in various colours for both boys and girls. For more Holiday Gift Ideas, please visit the following websites. We've all worked together to try and give you one gigantic shopping resource this year. You definitely need to get Buff to give you some mom & kid sets to give away! Thanks. I want to get most of those books too. We got them out of the library last summer and renewed them three times each! I think you've covered it all! I especially enjoyed your book list! Thanks! Thanks. Now I have to actually buy most of the books on that list. :) We had them out of the library most of last summer and read them over and over on every camping trip. You've listed good gift ideas for outdoor. Superb! Clothes and gear like Piggyback Rider child carrier for your outdoors can be great.